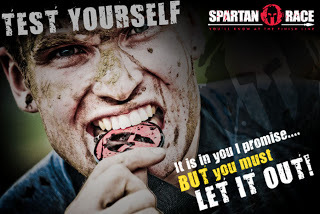 In May 2014 I will be attempting my FIRST Spartan Race (the Spartan Sprint). Reebok Spartan Race is on a mission to get you active, healthy, excited about change, and return to our ancient roots where running through woods, getting dirty, and facing adversity was part of everyday life. 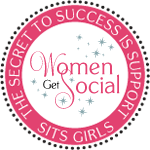 Their events are all about challenging today’s perception of normal. Spartan Race events challenge the familiar, today’s perception of normal living and getting you out of your comfort zone! Personally, I have not attended a race like this because I felt that I was not ready and tough enough to complete a race of this type, but I will be experiencing one soon!! I am super excited! Spartan Race wanted to make adventure racing more accessible to everyone, but do not be fooled by the word ‘accessible’, as their events have a challenge for everyone’s needs. Spartan Race now introduces a level for everyone beginning with the entry level Spartan Sprint (which is the one I will be participating in), intermediate level Super Spartan, the advanced Spartan Beast, and the ‘99.9% need not apply’ extreme level Death Race. Whatever your level, Spartan Race will test your strength, stamina, and sense of humor. 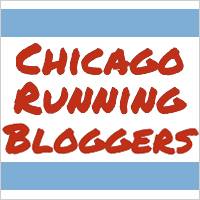 I am excited to announce that I have ONE free race entry for the Spartan Race to giveaway to one lucky reader/follower. I can't wait to see who wins the race entry and I also want that lucky fan to share their experience and pictures with me and I will feature you on my blog and Huff 'n Puff to Buff 'n Tough facebook page. I love my readers and followers and I am so excited to have the opportunity to be able to offer this giveaway to you. CLICK HERE to enter the giveaway. There are rules so please make sure you read everything. 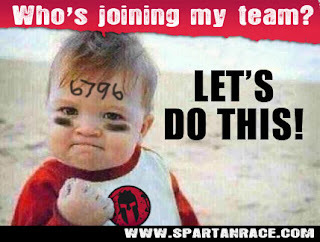 I will see you at the Spartan Race my Huff 'n Puff to Buff 'n Tough Spartan warriors!